Artist designer Parran Collery finds inspiration in nature, everyday objects, and printmaking and watercolor arts to create her tiles and mosaics. Terra cotta clay glazed in vibrant saturated glazes, unique designs, and a spirit of wonder: all of this in a lovely hand made tile. 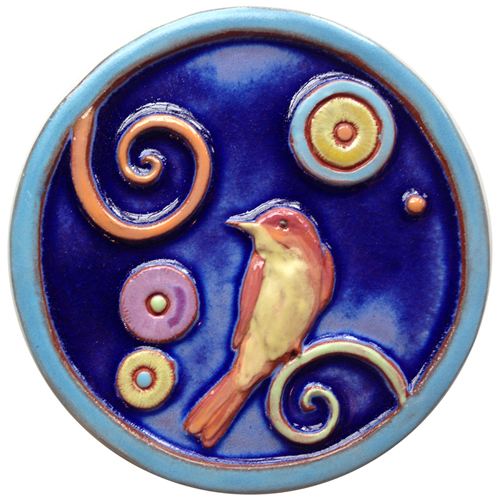 Beaurtiful, fun, and feisty bird captured in a graphic circle tile - great new shape for decorating. 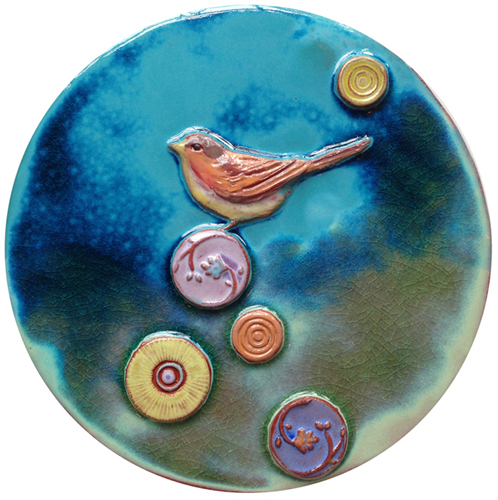 This fresh bird is one of 5 desings in the Counter Balance Circle series. Check out my shop on IndieMe.com for the complete set. The Lush Life series are a group of 4 dynamic tiles featuring graphic combinations of birds and bold patterns. To see the full series visit my store on IndieMe.com. 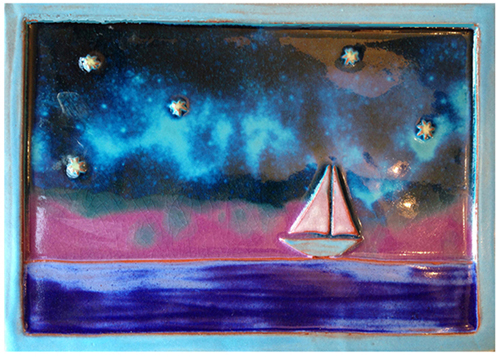 The Water and Sky tile features deep dreamy colors - no tow ar ever alike! 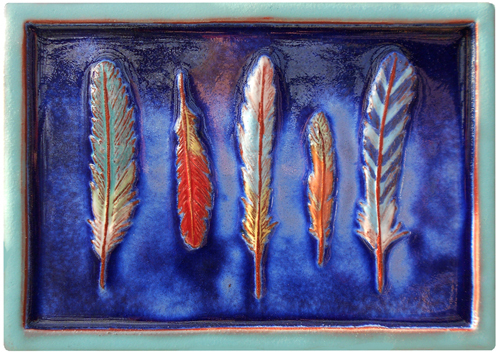 Brightly glazed, relief sculpted terra cotta tile, ready to hang. Visit my store at IndieMe.com for more gorgeous pieces. 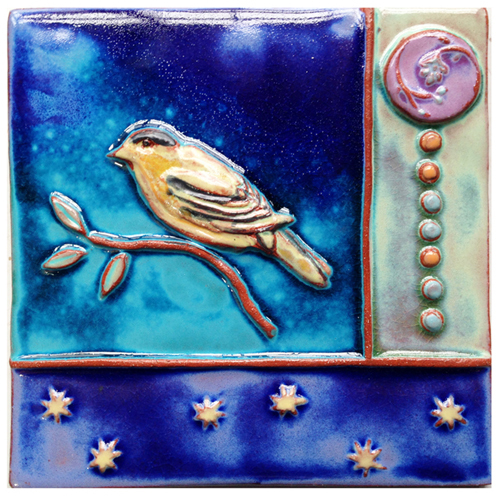 Oh, how beautiful the background glazes are in this series of two lovely bird tiles. Ever one is unique, and the circle format is a new fun and graphic shape for home decor. See all the tiles in this series in my store at IndieMe.com. Feathers feathers feathers. This gorgeous tile is available in two colorways, both stunners. 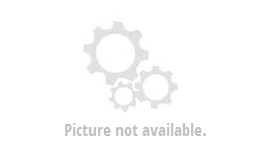 See them at IndieMe.com.